To keep the Las Vegas water system’s roughly 6,500 miles of pipeline and associated infrastructure operating efficiently, Southern Nevada Water Authority (SNWA) and Las Vegas Valley Water District (LVVWD) engineering teams must work with hundreds of thousands of engineering and design documents. “Every day, we are pulling record drawings to initiate maintenance, plan for work orders, or perform standard operational activities,” said Greg Kodweis, director of infrastructure management for the SNWA. “So, it is imperative that we have efficient access to these records.” Managing these documents can be a challenge as they are frequently modified and may repeatedly change hands electronically or in print form. These situations leave room for problems like duplication, human error and having multiple versions of documents stored in different places. Las Vegas’ water agencies recently addressed these challenges by deploying an innovative cloud-based system designed by Australian tech company, RedEye, to manage their engineering drawings. The change now saves the agencies 448 man-hours and tens of thousands of dollars each month. When the SNWA began integrating the RedEye DMS cloud platform in early 2017, the tech company researched the water agency’s existing systems and found multiple management systems in place that required effective integration into the cloud. There were more than 100,000 document duplications and, overall, several hundred thousand documents needed to be accessed by roughly 300 employees efficiently and from a variety of devices. The departments involved included: Engineering Services, Inspections, CAD and GIS Post Construction, M.E. Design, Distributions, and Maintenance Engineering. After implementing the cloud-based solution to store the critical documents, the water agencies realized a man-hour savings of 448 hours per month. Using the cloud also helped to mitigate certain risks for the water agency including data search inefficiencies, file exchange delays, review/approval complexities and miscommunications. RedEye’s research also found that with the elimination of hard copies, the water agencies were saving $1,000-plus a month on project folders alone. With RedEye DMS, documents are not stored on desktops and handed off through emails or in paper form; they are stored in the cloud and accessed by all needed parties, from all types of devices, including desktops, tablets and smartphones. Documents are also modified, updated and approved in real-time through the technology. “Through RedEye, we can pull these drawings from within the confines of our offices or right out in the field using tablets and mobile devices, something we couldn’t do prior,” Kodweis added. In the past, teams would also need to mark-up hard copies or make “redlines” in the field, then submit those changes to the SNWA engineering group, a multi-step, error-prone process. “[Now] Those field markups and redlines are uploaded to the cloud and immediately incorporated into the final drawings. Having a record drawing management system like this gives our guys in the field confidence that they are using the most current version of the drawings,” Kodweis added. The SNWA-RedEye relationship was initiated by WaterStart, which joined the Governor’s trade mission to Australia in August 2016. The cost for researching and initially implementing RedEye DMS was $50,000, which was split between the SNWA and WaterStart.  It was a decision that quickly paid back the 3x return WaterStart aims for with its investments, said WaterStart’s Executive Director, Nathan Allen. With the successful implementation of RedEye DMS, the Australian company also established its North American headquarters in Las Vegas. With three local employees in place, RedEye will continue to invest revenues towards recruitment of more tech talent, Shaw added. “This strategic partnership will pull new innovations to the U.S. and further development of Nevada’s water technology cluster,” added RedEye’s co-founder and CEO, Wayne Gerard. RedEye has also been expanding other offerings. It is currently in full development of RedEye WFM, a cloud-based workforce mobility solution that helps to digitize paper processes and simplify workflows for organizations. As the technology advances and is embraced by U.S. water utilities and other sectors, the opportunity for further water tech employment in Nevada increases. And by landing in North America with an active client in place, RedEye was able to start operations with critical cashflow and business momentum.